Is it possible to form stars in the immediate vicinity of the hostile supermassive black hole at the center of our galaxy? New evidence suggests that nature has found a way. Too Hostile for Stellar Birth? Around Sgr A*, the supermassive black hole lurking at the Milky Way’s center, lies a population of ~200 massive, young, bright stars. Their very tight orbits around the black hole pose a mystery: did these intrepid stars somehow manage to form in situ, or did they instead migrate to their current locations from further out? For a star to be born out of a molecular cloud, the self-gravity of the cloud clump must be stronger than the other forces it’s subject to. Close to a supermassive black hole, the brutal tidal forces of the black hole dominate over all else. For this reason, it was thought that stars couldn’t form in the hostile environment near a supermassive black hole — until clues came along suggesting otherwise. 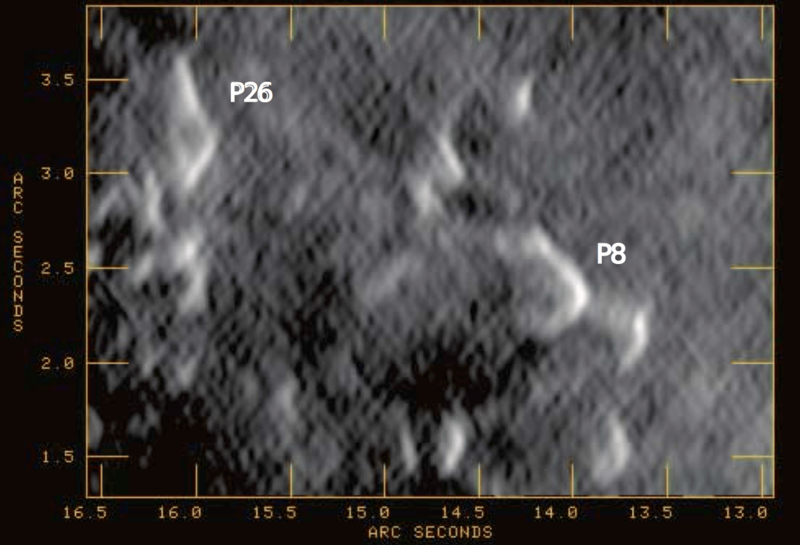 Longtime AAS Nova readers might recall that one of our very first highlights on the site, back in August of 2015, was of a study [The Astrophysical Journal Letters] led by Farhad Yusef-Zadeh of Northwestern University. 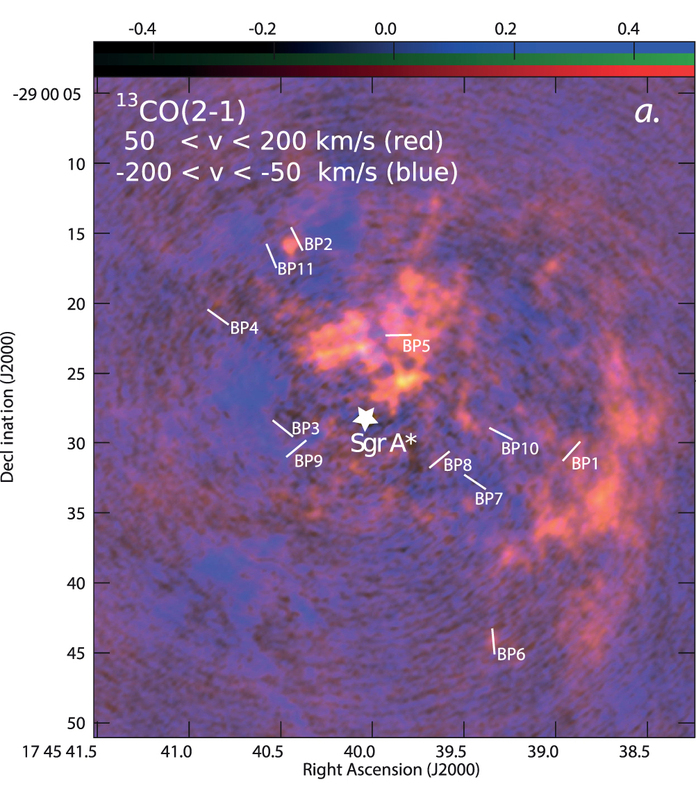 In this study, the authors presented observations of candidate “proplyds” — photoevaporative protoplanetary disks suggestive of star formation — within a few light-years of the galactic center. While these observations seemed to indicate that stars might, even now, be actively forming near Sgr A*, they weren’t conclusive evidence. 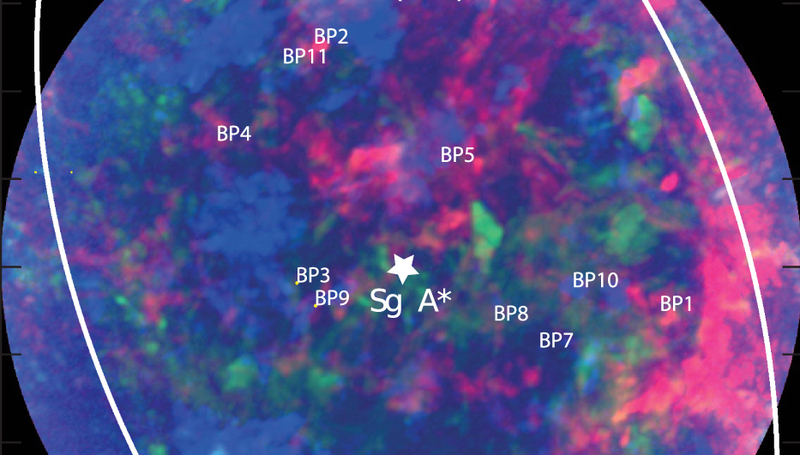 Follow-up observations of these and other signs of possible star formation were hindered by the challenges of observing the distant and crowded galactic center. 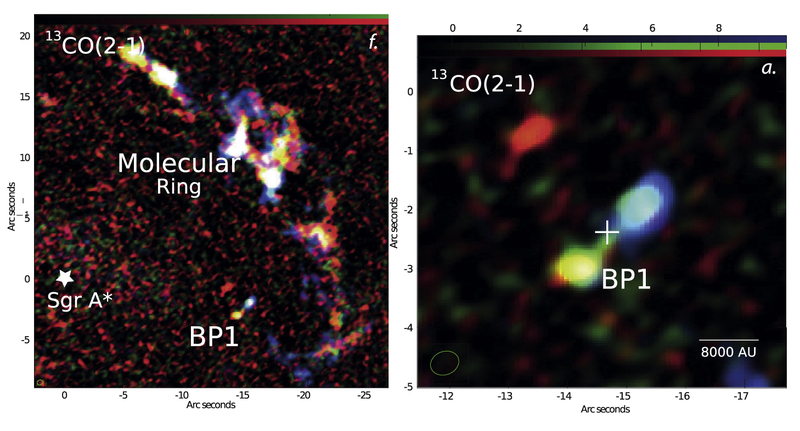 Two and a half years later, Yusef-Zadeh and collaborators are back — now aided by high-resolution and high-sensitivity observations of the galactic center made with the Atacama Large Millimeter-Submillimeter Array (ALMA). And this time, they consider what they found to be conclusive. Based on these sources, the authors calculate an approximate rate of star formation of ~5 x 10-4 solar masses per year in this region. This is large enough that such low-mass star formation over the past few billion years could be a significant contributor to the stellar mass budget in the galactic center. The question of how these stars were able to form so near the black hole remains open. Yusef-Zadeh and collaborators suggest the possibility of events that compress the host cloud, creating star-forming condensations with enough self-gravity to resist tidal disruption by Sgr A*’s strong gravitational forces. To verify this picture, the next step is to build a detailed census of low-mass star formation at the galactic center. We’re looking forward to seeing how this field has progressed by the next time we report on it!